Dewis painted with his heart as much as with his brushes. Post-Impressionist painter Louis Dewis (1872–1946) was born in Belgium but lived the last 60 years of his life in France. For a detailed biography, visit the Louis Dewis Wikipedia Page. Louis Dewis was the pseudonym for Isidore Louis DeWachter, who went by “Louis.” He was born in Leuze, Belgium, the son of Isidore Louis DeWachter (who used his first name) and Eloise Desmaret DeWachter. Although the name “DeWachter” has Flemish roots, Louis always considered himself a Walloon. The stores offered ready-to-wear clothing for men and children – and specialty clothing such as riding apparel and beachwear. Louis was a child prodigy – showing astonishing talent at the age of eight. Mature painters would have been proud to produce the works that Dewis was creating as a teenager. But circumstances conspired against an art career – and he did not begin to exhibit until the age of 44. Louis spent his formative years in Liege, Belgium, where his closest boyhood friend was Richard Heintz (1871–1929), who also became an internationally known landscape artist. Isidore was embarrassed that his son would waste his time with something as useless as painting. In a vain attempt to break his young son of this “bad habit,” the elder DeWachter would, on occasion, destroy or throw away the boy’s canvases, paints and brushes. Young Louis’ love of art could not be deterred. It could, however, be overwhelmed by business and family responsibilities. As the eldest son, Louis was expected to take over the family business. This was a duty that his father would not allow him to shirk. Dewis would come to manage 15 of the Maisons Dewachter by the 1910s. They were located in more than 20 cities and towns across France and Belgium, some cities having multiple stores. Louis DeWachter married Elisabeth Florigni in 1896. His elder daughter, Yvonne, was the first woman to graduate with a degree in mathematics from the University of Bordeaux. That is where she met graduate medical student Dr. Bradbury N. Robinson, an American Army officer and veteran of World War I. They married in 1919 and moved to the States in 1926. His younger daughter and only other child, Andrée, married wealthy French businessman Jérôme Ottoz, who proved to be less than supportive of his talented father-in-law. By 1918, World War I had ended and Isidore had passed away. For the first time in his life, Louis was free to pursue his artistic career. He sold his interest in the business and took up painting full time. For the next 20 years, until the onset of the Second World War, Dewis’ landscapes were shown regularly at exhibitions across Western Europe and North Africa. Few landscape artists, in my opinion, among our modern painters, reach such a profound expression of truth in a finer art form. His work attracted favorable reviews in the international press and the highest decorations from the governments of three countries. However, the highest achievement of fame eluded him. His later career was marked by uncommon public relations misfortune. 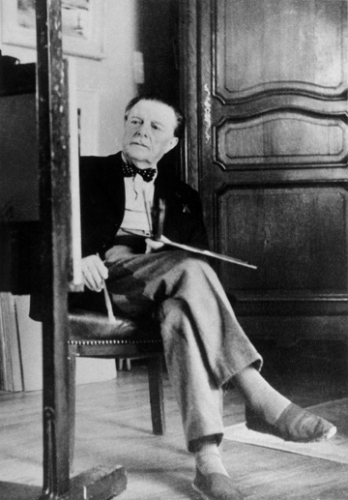 As an example, the influential French art promoter Georges Petit took an interest in Dewis in the 1910s – insisting that he stop wasting his life “selling clothes.” Petit essentially demanded that Dewis sell his interest in Maisons Dewachter and “come paint for me in Paris and I will make you famous.” Dewis finally relented in 1919. But, within a year, Petit was dead and Louis was, once again, on his own. The Belgian’s work would never be heavily promoted. But collectors and museums from Europe, the French colonies, South America and Japan continued to purchase his paintings – and critics continued to rave. The art of Louis Dewis appears in the magnificent maturity of a learned and profound spirit of observation put at the service of a firm technique, devoid of any indication of contrivances in pursuit of effects. Everything proves that among our Belgian artists, Dewis does not occupy a secondary position. Dewis and his family fled Paris for the South West shortly before the Nazi occupation of 1940, initially staying with relatives in Bayonne, and then settling in the resort town of Biarritz. By great good fortune in this time of war, they heard of a villa that was becoming available in Biarritz. An American was heading back to the United States and selling a large house with lovely gardens that he had named for his wife: Villa Pat. The family purchased the home and it was here that Dewis would paint for the last seven years of his life. All this represents painting, imposing, rich in colors, the painting of a master. Nature, here, lives in grandiose, serious, intimate, and welcoming allures, it is very beautiful and very seductive. Biarritz wasn’t far from Bordeaux, where Dewis had lived from the turn of the century until just after WWI. He was once again inspired by the countryside of the Pays Basque. Since travel was greatly limited during the occupation, Dewis often found his subjects within his own garden, in nearby parks and along the Atlantic coast. Louis Dewis died of cancer at Villa Pat in late 1946. A great painter has just passed away in Biarritz: Louis Dewis. Through his acclaimed talent, he brought something new to this region, for which, as well as for the painting, his death is a great sorrow. Andrée was intent on preserving everything related to her beloved father’s artistic career. She carefully crated up the entire contents of his atelier in Biarritz and transferred them to the attic of her 19th century condominium building in Paris’ 17th arrondissement. The sturdy wooden boxes were placed in a locked room that was originally designed as maid’s quarters. There they would sit, untouched, for nearly 50 years. In 1996 – Andrée and an American great-nephew opened the crates and resolved to return Dewis’ work to the public. In the ensuing years, more than 125 Dewis works found in his daughter’s attic have been cleaned and framed. The first result of the effort was 1998’s Dewis Rediscovered – an exhibition held at the Courthouse Galleries in Portsmouth, Virginia. Click here for the YouTube video on 1998’s “Dewis Rediscovered” exhibition. Click at extreme left of red playback bar for 10-minute version with more background information. The Belgian ambassador to the United States, Alexis Reyn, was an honored guest. He requested the loan of three Dewis paintings for permanent display in his country’s embassy in Washington, DC. The ambassador personally selected the pieces – including one for his office and a large painting of the Ardennes that was the only art exhibited in the principal public waiting area. Dr. Linda McGreevy, the Chair of the Art Department at Old Dominion University in Norfolk, Virginia – and an expert on French art between the two world wars – wrote the catalogue essays for the first two Dewis exhibits in America. [Dewis] seems poised … to claim a place in modernism’s broader trajectory … his luminous paintings … may well receive the recognition their creator deserved long ago. The first Dewis exhibition at a major museum is being staged at the Orlando Museum of Art through May 5, 2019, the 100th anniversary of Dewis’ decision to sell his business interests and move to Paris to begin his life as an artist in earnest. Dewis’s work does not fit neatly within today’s familiar narrative of 20th-century European modernism, but in his own time, his work would have been seen as the mainstream of French art … So the work of this accomplished painter can provide new insights about the period in which he worked. The Dewis Collection and The Orlando Museum of Art are considering the creation of a home for the collection in Orlando – to make the Belgian’s work available for the public to enjoy on a permanent basis.